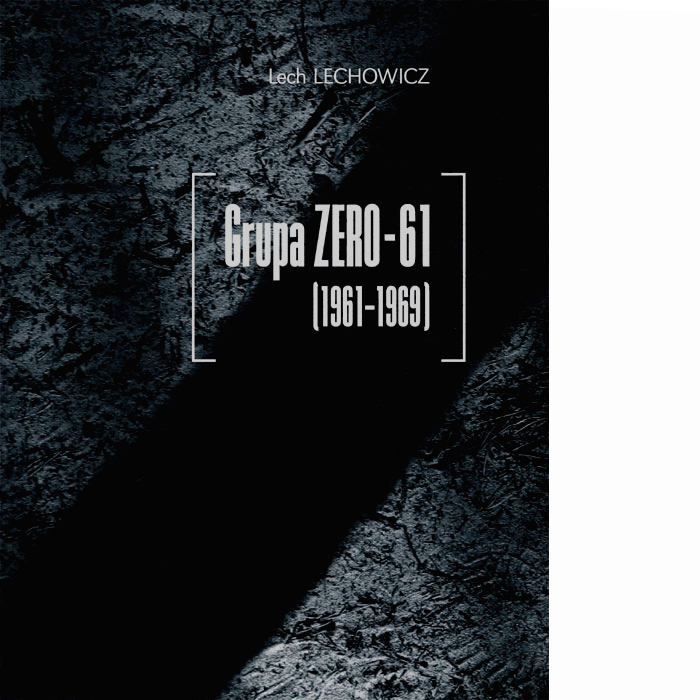 Artistic collective Zero-61 is a remarkable and exceptional example of a group effort in Polish photography that went on for many years and remained vibrant and internally coherent from artistic point of view. The group was founded in 1961 in Torun by students of the Nicolaus Copernicus University. The list of its founding members included: Roman Chomicz, Czesław Kuchta, Lucjan Oczkowski, Józef Robakowski, Jerzy Wardak, and Wiesław Wojczulanis. The membership evolved; some were leaving like Chomicz, Oczkowski or Wojczulanis, others were joining in: Andrzej Różycki, Jan Siennik, Wojciech Bruszewski, Roman Dąbek, Michał Kokot, and Antoni Mikołajczyk. The longest serving and the most active members were Kuchta, Robakowski, and Wardak later joined by Różycki, as well as Bruszewski, Kokot, and Mikołajczyk in the final period of the Zero-61. These seven people constituted the core of the group. In their actions, they were always strongly determined to go beyond the existing canons. They wanted to accomplish their artistic plans regardless of circumstances in which they lived. They disregarded the political situation - Gomułka’s hardline approach in the 1960s following the thaw in 1956 - and the situation in artistic circles in those times. They sought to begin from zero, hence the name of the group. Despite differences in individual creative efforts of its members, the collective had a clear artistic profile and was internally strongly integrated. Close friendship ties combined with joint artistic objectives and similar attitude to life provided sufficient binder to keep the group together for eight years over which the oeuvre of its members developed and evolved.